The new manicure is uv-gel, chip-free and soak-off. Wait, what?? S'okay, we have all the info you need. Yup, another Axxium update. The above is my most recent OPI Axxium Gel application, taken one day less than two weeks ago, the day it was done. See how close Tips Nail Bar&apos;s Rita Remark got to my cuticles? Excellent move on her part; my nails grow quickly and she&apos;s aware I&apos;ll likely not manage to get back to the salon for three or four weeks. You&apos;re also looking at another three-coat application, one base, one OPI Cajun Shrimp and one top coat. The previous job stayed chip-free until its removal three weeks after application, so I did it again. I love the finish. 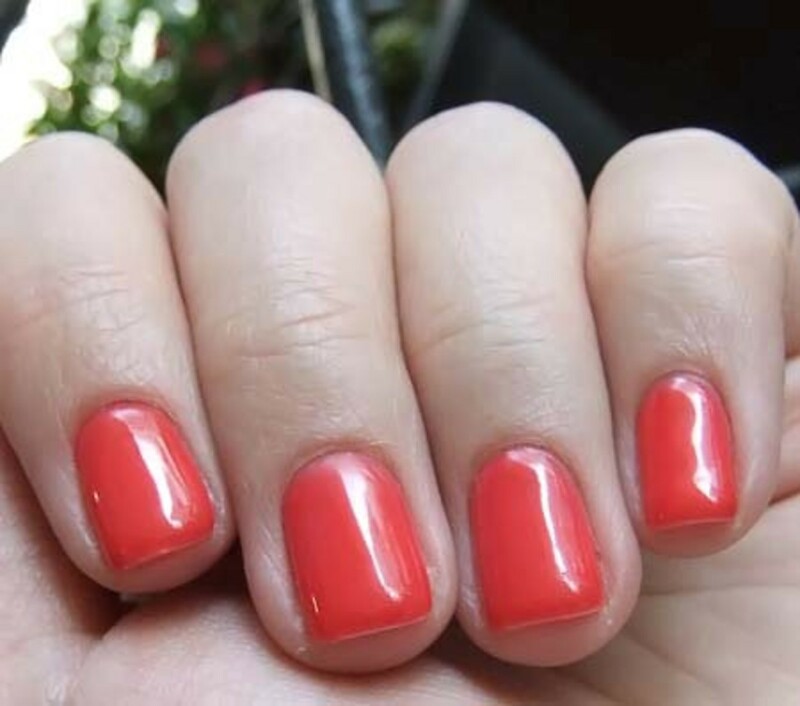 It&apos;s as thin as regular polish and has a jelly-like (perfect description, Rita!) near transparency I prefer over solid colour. Bonus: removal took maybe 12 minutes (the first removal, when I first tried Axxium and had five coats of gel, took about 20). Usually I don&apos;t file my manicured nails -- can&apos;t be bothered. This time I got a chippette (a wee baby chip) from digging persistantly at the stiff plastic wrap around a lip liner (the perforated strip is just for show, it seems). So this time I filed lightly and from the outside edges to the centre (rather than sawing back and forth along the whole edge). And three or four days later, my nails still look perfect. Er -- I was going to do a which-mani-is-best-for-you thing in this post -- it turns out Axxium isn&apos;t for everyone -- but it would make this thing too long. Next post. Yup, another one. 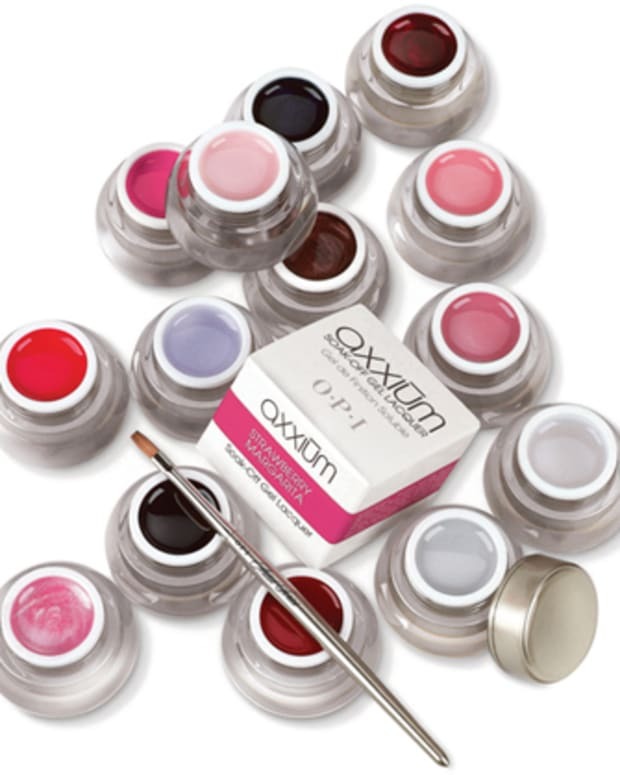 To find an Axxium salon in your area, contact OPI via this link.